In honor of the LA Forum’s 30th anniversary, this year Delirious LA will occasionally feature interviews with some its founders. 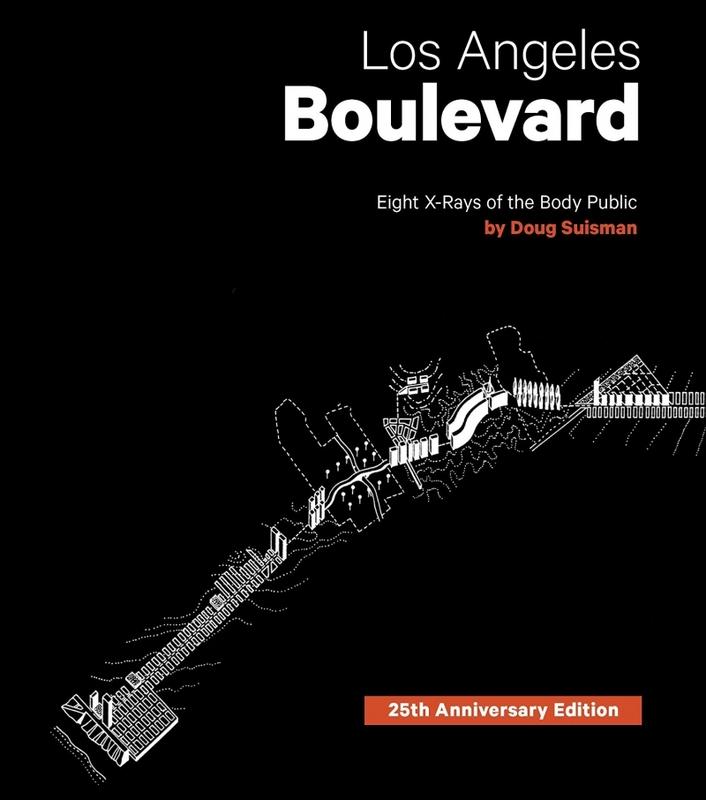 This week we continue our series with Doug Suisman, urban designer, architect and author of Los Angeles Boulevard: Eight X-rays of the Body Public. We spoke to Suisman about the LA Forum’s origins and critical role in the design community moving forward. What were some of the issues that the Forum started to tackle during your tenure, and what are some that you would like to see the Forum tackle now? For me the great service the Forum provided was a sense of community for young architects, especially those beginning to arrive in the city in growing numbers from other places. Architects who taught or studied in local architecture schools had a built-in framework and a community. But for those of us who had studied elsewhere, and then moved to LA to work in offices, it could be hard to find a foothold in the broader professional community. The Forum brought people together – practitioners, students, scholars, artists, critics, academics, entrepreneurs – who might not have otherwise connected. I think of it as a kind of USO for design. That was then, when LA’s innovative architecture scene was young and evolving. Now it is fully established and explosively enlarged – the city arguably has the largest concentration of design talent in the world and its influence is global. I do hope the Forum continues to provide the kind of community for young architects it always has. But I also hope the Forum goes beyond the great professional initiatives it has always undertaken to look at the larger social context that architecture operates in. We have taken formalism and starchitecture about as far as they can go – now we have a new period of corporatism and gigantism in the profession, of enormously successful firms operating globally and on projects of enormous scale. In this new age, what role does architecture play in society? Do we build anything for anybody who has the money to pay? For kleptocracies? For corporations that pollute? And most urgently today, for an administration that is weaponizing fear and hatred to divide people with walls and thereby “win”? I hope the Forum will challenge its members politically, and that the community that the Forum represents will say “never” to participating in the construction of those kinds of walls. How did the pamphlet series come about? I think the idea came from Steven Holl’s influential pamplets, which he produced in the late 1970’s in New York. Many of these booklets were very inventive ways of looking at the interrelationship between New York’s urban and architectural forms. When they started the Forum, Christian Hubert and Aaron Betsky were undoubtedly familiar with these pamphlets, and I suspect it inspired them to try something similar for Los Angeles. One of the very first Forum pamplets, Craig Hodgett’s “Swimming to Surburbia” was both inventive and amusing — less self-serious than Holl’s — and it gave me a real sense of how LA’s architectural culture differed from New York. That inspired me to start thinking of a pamphlet about LA’s boulevards that would combine Holl’s formal rigor with Craig’s narrative flair. At the time, the Forum’s little books were literally stapled together, and none of us imagined that the series, or the Forum for that matter, would continue for thirty years or more! Looking forward, what role would you like to see the LA Forum play in the design community? I’d love to see the Forum take a fresh look at how the city, architecture, and the profession have changed since its founding, and then plot a course that keeps the Forum relevant for the next generation. The level of architectural design in Los Angeles is extraordinarily high, and I’m happy to say the quality of urban design is also catching up to that high standard. As LA enters a period of almost unprecedented growth, how do we create a more beautiful, sustainable and humane setting for life, and how do we maintain those special qualities that make Los Angeles its own kind of city? How do we make sure that everyone is housed, and that our shared values as a city are expressed through its architecture? Those are challenges that the Forum is uniquely well positioned to address.